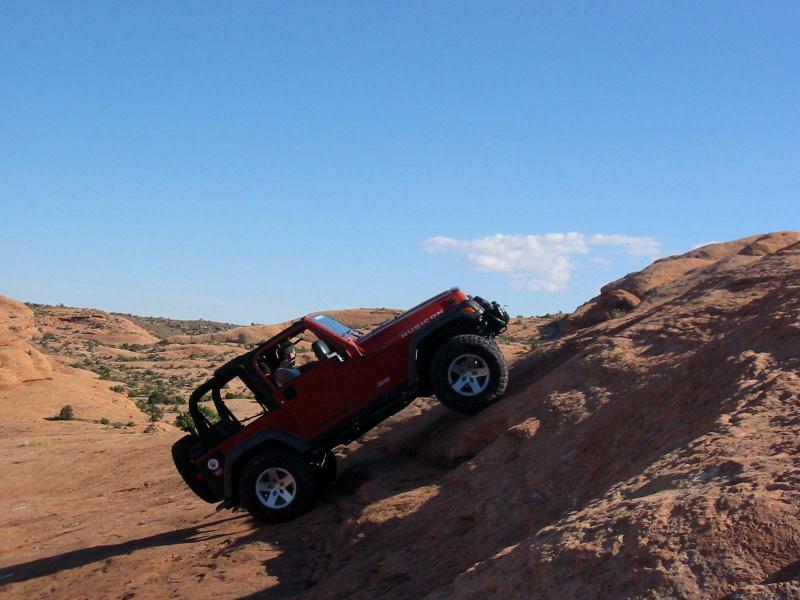 The Moab Rim is the cliff rim seen just to the southwest of town. 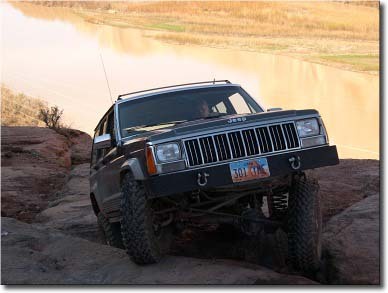 Its only four-wheel-drive access begins just downriver from town and the first mile has about the highest density of obstacles of any of our trails. 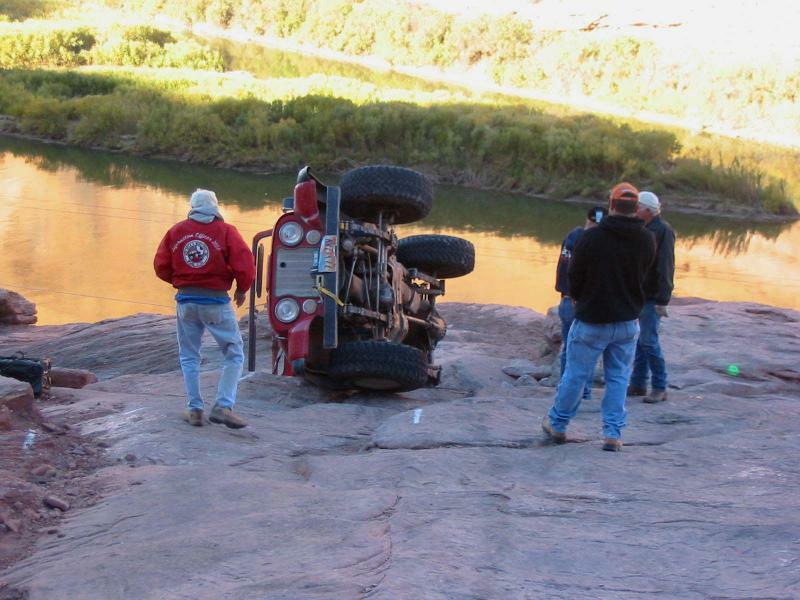 Many vehicles have "bit the rocks" on the succession of rock ledges and tight turns that lead to the rim. 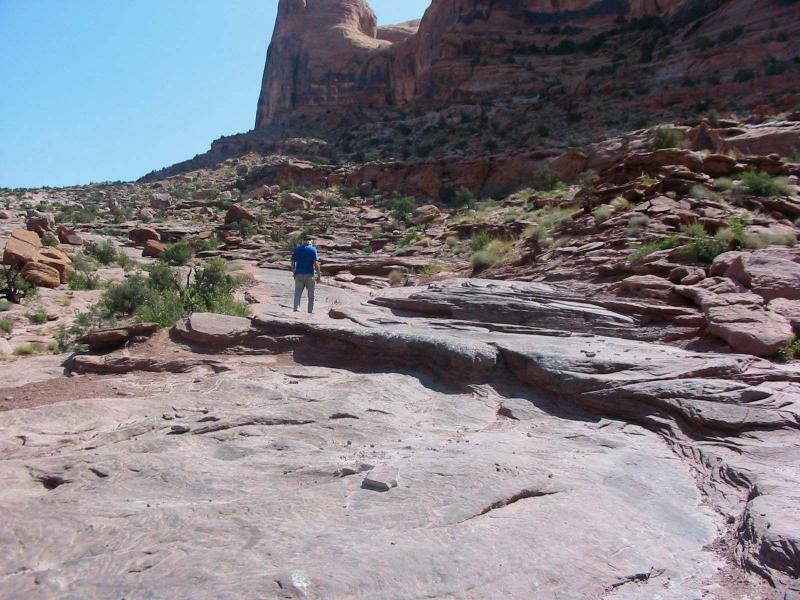 On top, the trail is sand and rock as it leaves the rim, but it returns at another overlook. 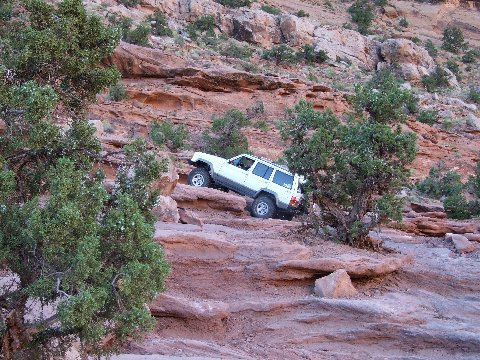 After closing a short loop, the trail returns on the same rocky mile it started with. 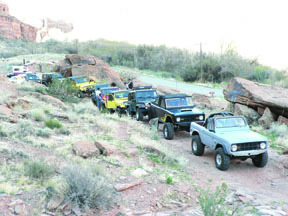 Approximate mileages: 14 total, 9 off highway. 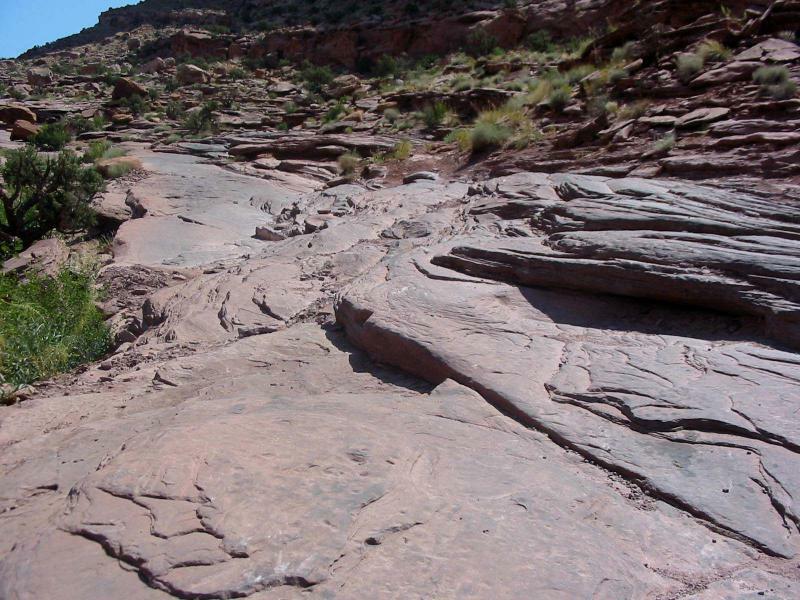 The first mile of trail follows the slope of the tilted rock layers and has increasingly high overlooks of the Colorado River gorge in one of its most beautiful areas. 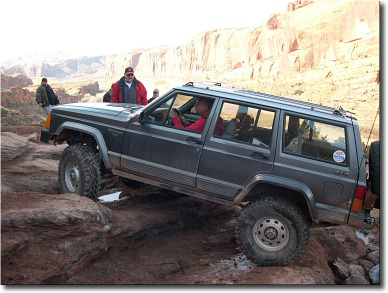 The rim view includes the La Sal Mountains, Moab and Spanish Valleys, some of Arches National Park and distant features such as the Book Cliffs. 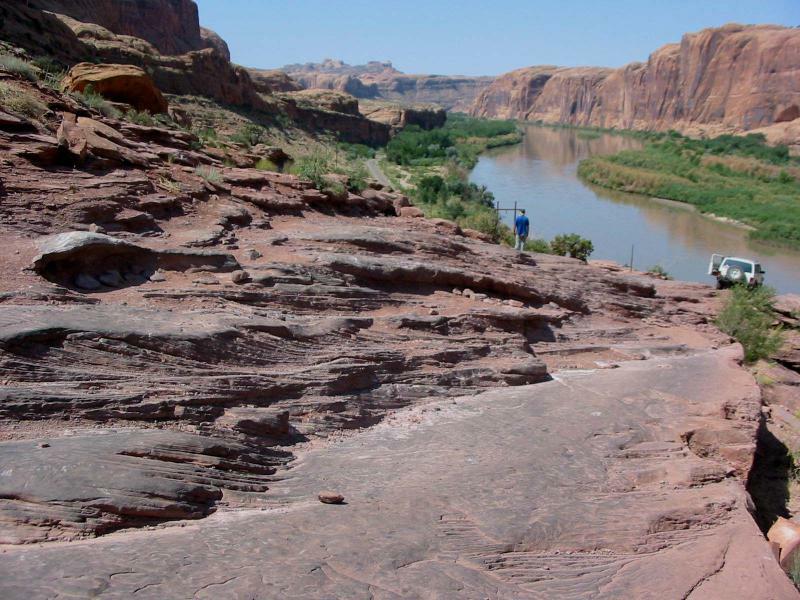 Behind the rim are displays of rock domes and fins and some of the rims of the Colorado River gorge farther downstream. 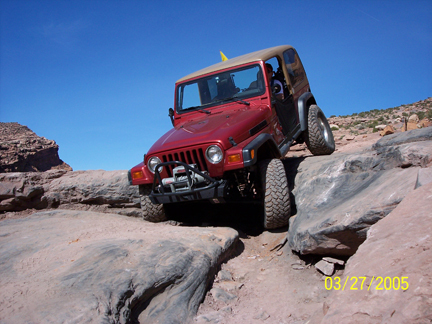 There is a 3-1/2 hour hike once on top of the rim. 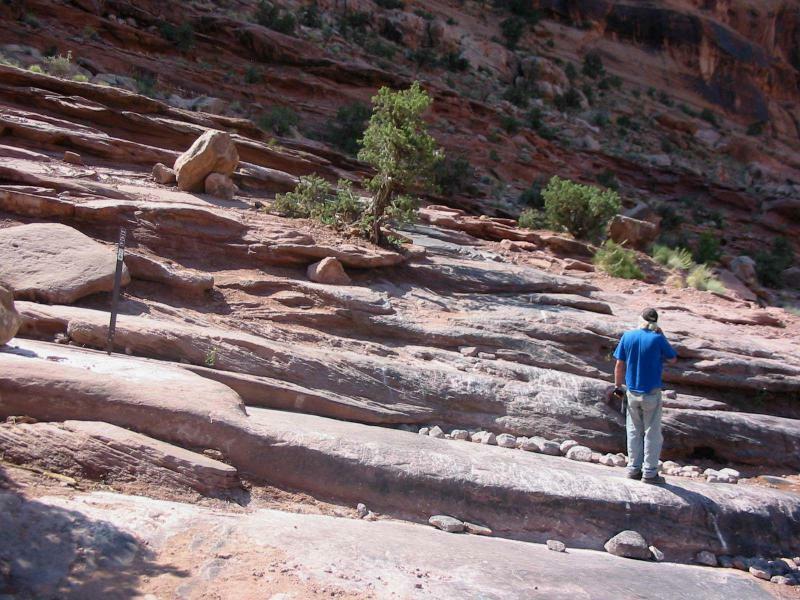 The first part of the trail is mostly on bedrock that nature has broken into ledges and steps. 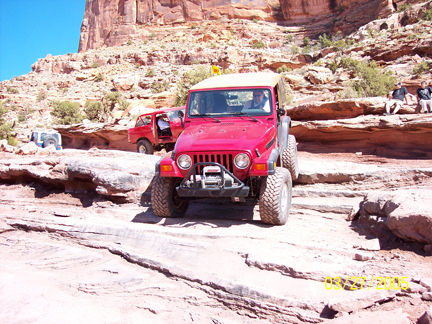 The higher country has slickrock, blow sand, and some sandy dirt with broken rock mixed in. 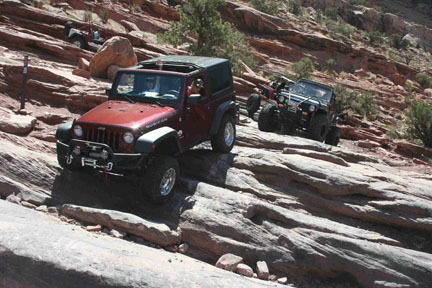 Among the many steps in the first mile are the "Devil's Crack" and the "Z Turn". 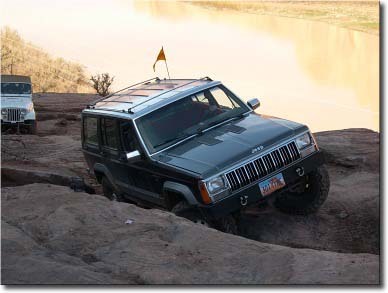 The first requires a tricky turn onto a ledge to avoid dropping a wheel into the crack beyond. 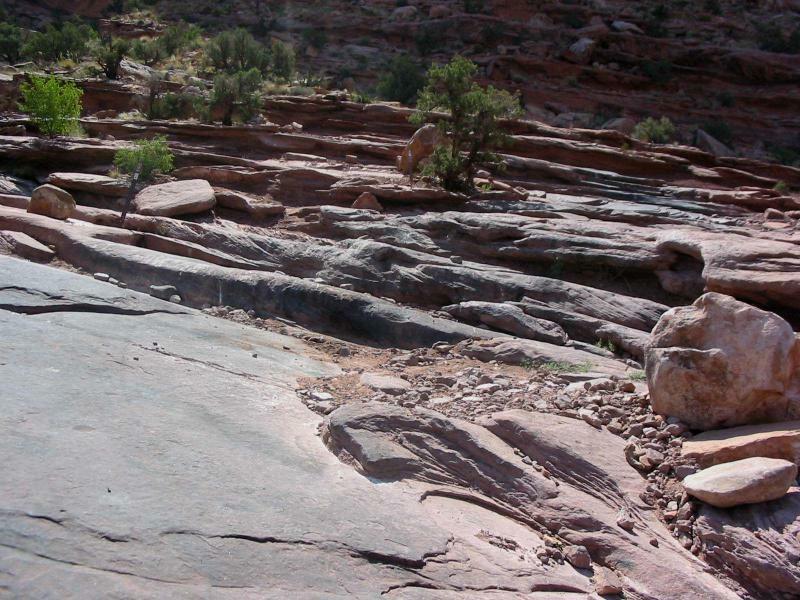 The latter has two turns over irregular rocks and ledges, many of which are off camber. 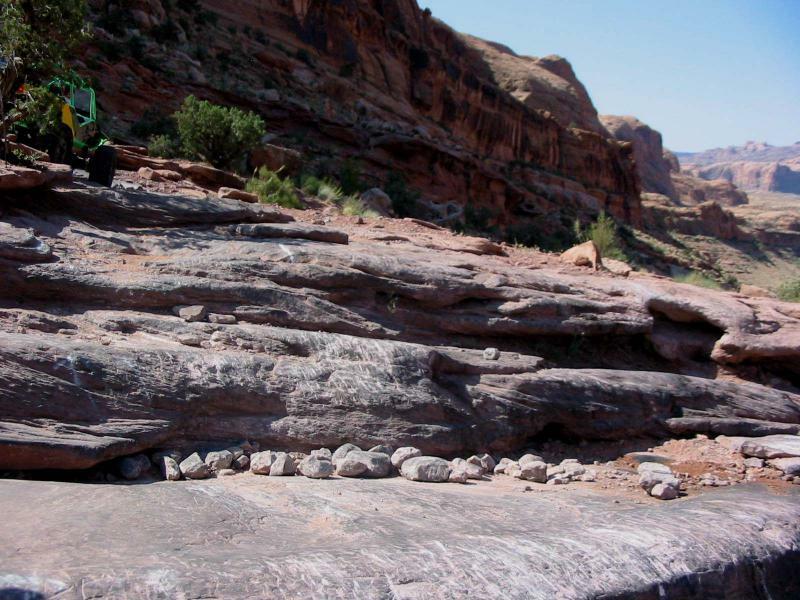 On top, a slickrock dome has an optional climb with about an 85% grade.